According to the United States Small Business Administration, the majority (nearly ⅔) of small businesses in the United States are owned by Baby Boomers. A survey from CNBC and the Financial Planning Association indicates that fewer than 30% of businesses have a written succession plan -- despite the fact that 78% of small business owners intend to sell their businesses to fund their retirements. For the over 70% of business owners that don’t have a succession plan, many believe that they will be able to find a buyer that will be interested in taking over their business. When a buyer fails to surface, which is far more likely in our rural region, business owners near retirement default to liquidating their business assets, recouping far less than they had budgeted for and our communities lose yet another small business and the associated jobs, tax income and main street value. The ripple effects resulting from the loss of a small business in our rural region’s communities can be devastating and long-lasting. A grocery store closing results in the loss of multiple jobs and means that residents have to pay higher prices at convenience stores for less healthy food options or travel long distances simply to purchase their family’s weekly food supply. The closing of a restaurant reduces the community’s appeal to visitors who may choose to go elsewhere. An empty storefront on main street impacts community perception, results in less downtown foot traffic and reduces patrons to local banks. This is all in addition to the negative impact on tax revenue for our local governments and schools. National data indicate that the single largest avoidable source of job loss in our communities is preventing business closings due to retirement. In the preliminary findings of an economic analysis conducted in the Adirondack North Country, we may be facing our own loss of between 10,000-16,000 businesses in the coming years. To prevent the loss of these businesses, intentional and effective assistance must be provided for businesses in transition. Open market sales in rural areas are often expected by retirees. But they are rarely achieved due to a lack of planning, few interested buyers and little awareness of succession options. In addition, sons and daughters often go off to college and rarely want to come back to run the family restaurant or convenience store, thus making family transitions challenging. This issue is of central importance to ANCA, and we are developing tools and partnerships to address this as part of our Growing the New Economy strategy. As we have done research and created preliminary proposals, we are noticing an uptick in projects, events and discussions surrounding cooperatives and employee-owned business models, which are some of the options for business transitions. Residents of a mobile home park in Beekmantown recently raised enough money to save their property and prevent the eviction of 50 families. 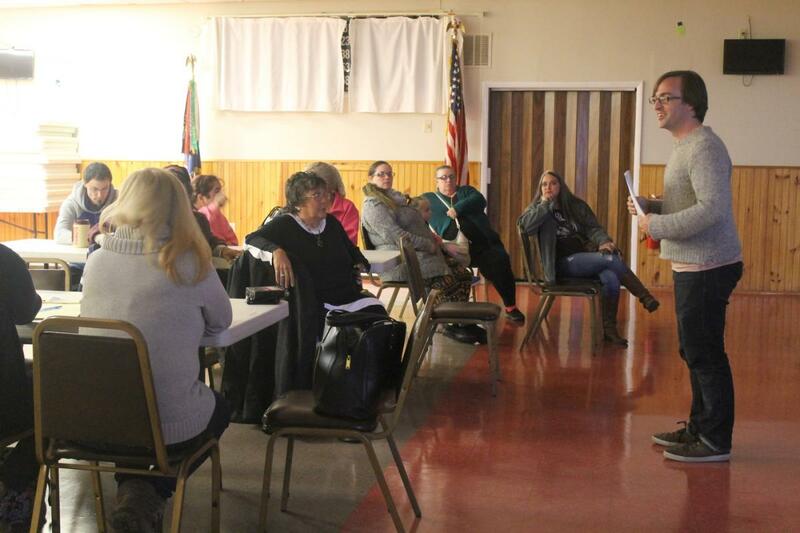 North Country Creamery in Keeseville recently received a grant through the USDA and will be working with the Cooperative Development Institute to explore transitioning their business to their employees. The North Country Symposium on April 16, 2018 is titled “Owning Our Future in the North Country.” Doug O’Brien of the National Cooperative Business Association is slated to talk about how cooperatives and employee-owned companies remain promising models to confront the challenges faced by rural areas. Avoiding the loss of our region’s small businesses is key to the vitality of our rural communities. This is central to ANCA’s mission. Stay tuned for the launch of this project. Shelterforce magazine: The Next Boom for Worker Co-ops? 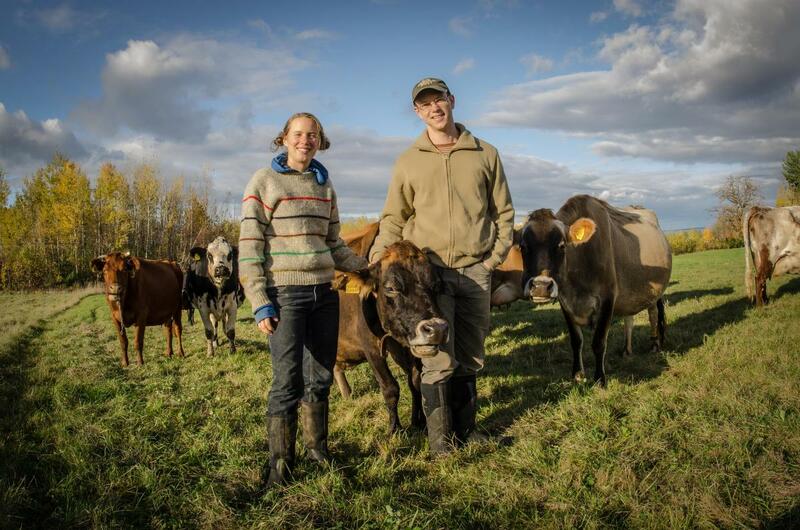 Top photo: Ashlee Kleinhammer & Steven Googin of North Country Creamery are exploring a transition to an employee-owned business model. Photo by Tom Semeraro. Bottom photo: Jeremiah Ward of Cooperative Development Institute shares an update with residents of a mobile home park in Beekmantown. Photo by Zach Hirsch of North Country Public Radio. Banner photo of North Country Creamery products by Tom Semeraro.